Little Red Riding haube Parody. . HD Wallpaper and background images in the Fairy Tales & Fables club tagged: little red riding hood 1280x800 wallpaper funny fairy tale. 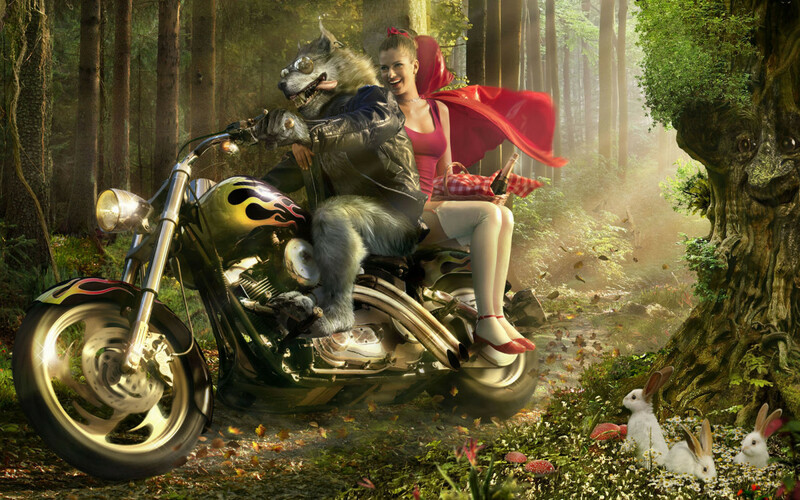 This Fairy Tales & Fables wallpaper might contain motorrad polizist, motorrad-polizist, geschwindigkeit polizist, speed-cop, motorrad-cop, geschwindigkeit cop, motorrad fahren, motorradfahren, trail-bike, dirt bike, scrambler, and trail bike.